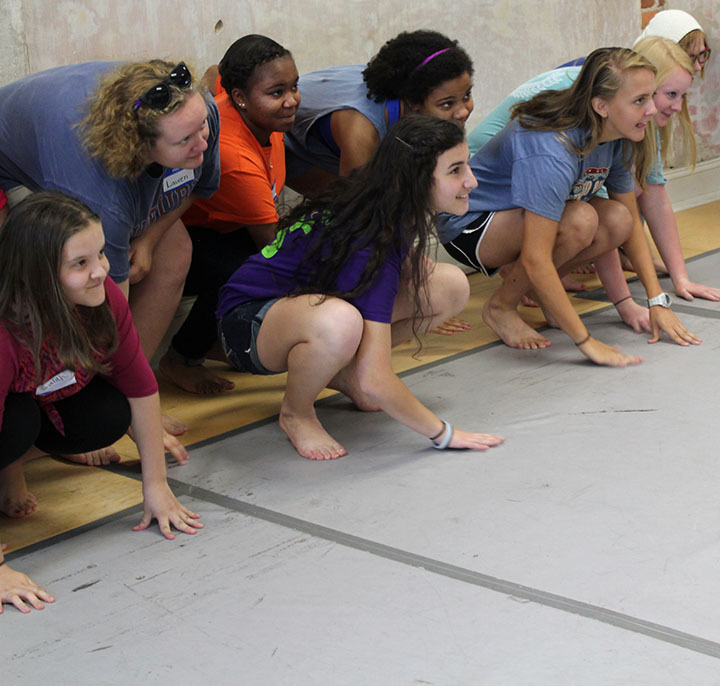 While TAP kids are getting groovy in LaGrange, the teen mentors are undergoing training for Columbus TAP next week. (The theme for Columbus TAP is Play Fair, by the way, but more on that later). TAP literally would not be possible without the generosity of these teenagers who give up a whole two weeks of their summer for this program. This week, they are at the Rankin Arts Center every morning preparing for next week's event. On Tuesday, they spent the morning in group's discussing fairness and justice and applying that to their own lives. One of the things they were asked to discuss was a time they witnessed unfair treatment in their own schools and how (or if) someone tried to change it. They aren't all serious over there, though. The pictures below are proof that they are having a little fun with some very active games!